Q: How can I add vertical text to a PDF page? A: There is no way using the content editing tool at the moment to apply a rotation to a PDF text object using PDF Studio. Add a text box annotation. Make the text box narrow so as you type letters they are added down. Add a space character to go to the next line. Set the border width to zero. Set the horizontal alignment to be centered. 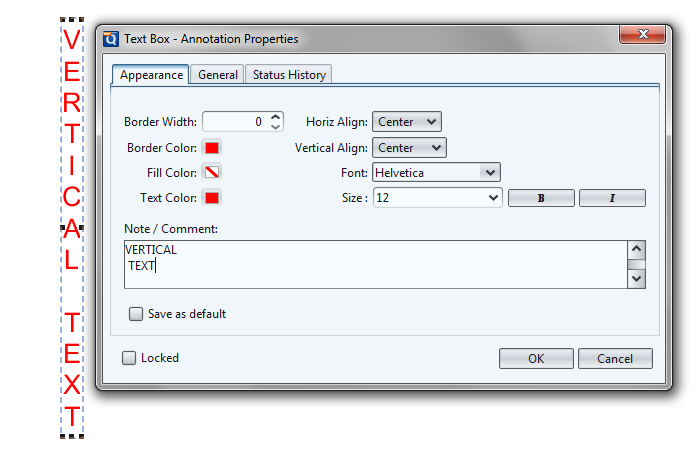 If needed, flatten the text box annotation so the text is added to the content of the PDF document.